A common summer afternoon in little Makholma village harbor. 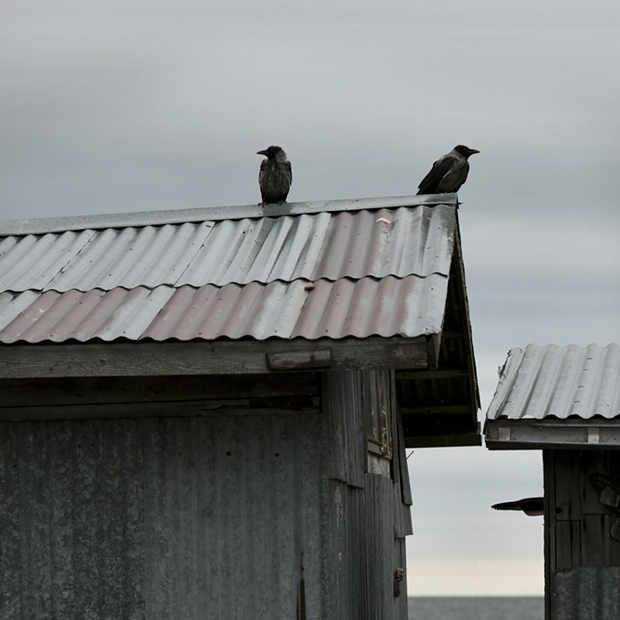 Inside the old fisherman's hut of corrugated steel, a Swallow has it's nest, the daily sea breeze is whining and the Crow family sweeps every possible corner. A villager comes and goes and the Barnacle Gooses takes to flight. Listen with headphones.